The BioMedical Engineering Research Core Laboratory (BMERCL) is housed in the Engineering Building-1, Room N-181 in the Cullen College of Engineering at the University of Houston. 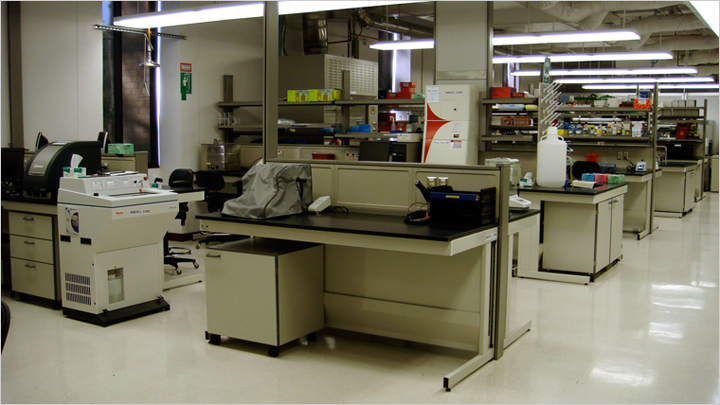 It is approximately a 2,000 square feet laboratory equipped with laboratory benches, a chemical fume hood, common equipment area and a separate autoclave room, cell culture room, microscope room, and radioisotope sample preparation room. The mission of the BMERCL is to advance knowledge in biomedical engineering by promoting interdisciplinary research and training among engineers, biologists, chemists, and physicians. To this purpose we provide researchers with a single facility where they can access various tools to carry out their research in Molecular and Cell Biology, Imaging, Biomaterials and Tissue Engineering.